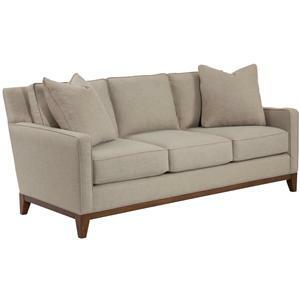 Create a designer look in your living room with this sophisticated contemporary sofa. The three over three design and plush seating ensure that your family will enjoy this comfortable sofa for everyday use. Track arms and a wooden base rail with tapered feet offer a sleek look that's quietly sophisticated, in an apartment-friendly size. 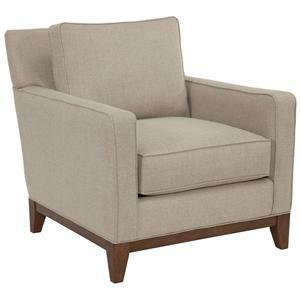 Sleek and modern, this designer arm chair will make a real statement in your living room. Slim track arms and a rich wooden base rail and tapered feet create a bold contemporary look that you will love. Comfortable seating means this piece is great for everyday use, and perfectly sized for modern apartment living. This sleek modern loveseat will add a rich look to your living room. 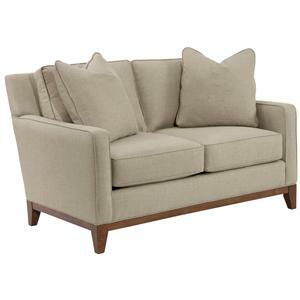 The plush seating and soft pillows create a comfortable spot to sit, while track arms, a beautiful wooden base, and tapered wood feet round out this upholstered loveseat. Sophisticated yet casual enough for your everyday use, in an apartment-friendly size, this stylish loveseat will be the perfect fit for your warm and welcoming home. This sleek contemporary ottoman will complement your living room beautifully. Tapered feet and a wooden base rail create a modern look, while the plush top cushion offers a comfortable spot to rest your feet. 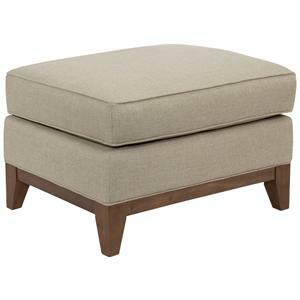 Apartment friendly in its small size and simple appearance, this ottoman brings easy comfort to any space. 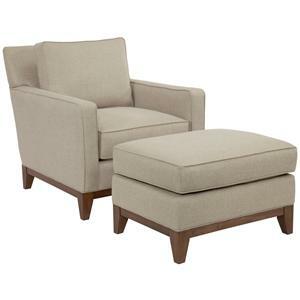 Sleek and modern, this designer arm chair and ottoman will make a real statement in your living room. Slim track arms and a rich wooden base rail and tapered feet create a bold contemporary look that you will love. Comfortable seating means this piece is great for everyday use. The matching rectangular ottoman features the same wooden base rail, offering the ideal finishing touch for your contemporary-inspired living room.